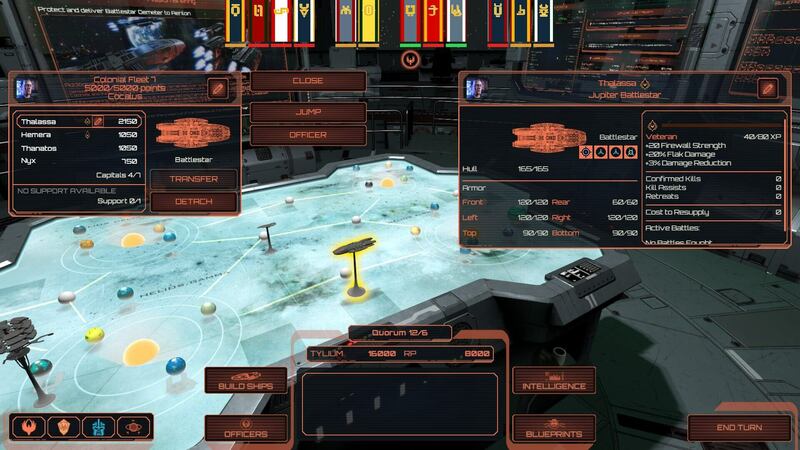 Home News & Updates	Sin and Sacrifice, the new DLC for Battlestar Galactica Deadlock, is now out! Since Day One, back in 2017, Battlestar Galactica Deadlock grew greatly and widely. The “Season One” includes the base game and four DLCs: new units, the “civil war” situation, new campaigns, the new survivor mode and now the final chapter for the Season. Also, lots of improvements reshaped the full Battlestar Galactica Deadlock gameplay experience. In the following infographics, you will be able to see all these improvements at a glance! New improvements include crew “veterancy” system, the radio chatter and persistent ship damage between missions. All battle improvements now available in the “Season One” Battlestar Galactica Deadlock: support ships, boarding operations, new grouping actions, and more!